Joseph Mauro, 99, of Mount Vernon, Illinois passed away at 9:42 A.M. April 1, 2019 at his residence. He was born April 8, 1919 in New York City, New York to the late Nicolo and Rosalia (Puma) Mauro. He married Della M. McPherson LeGrand on March 10, 1979 and she survives in Mount Vernon. In addition to his wife, Joseph is survived by his three children, Connie Barnett and husband, George of Cambridge, Maryland, Christopher Mauro and wife, Isabelle of Rockville, Maryland, and Charles Mauro and wife, Nancy of Herndon, Virginia; five stepchildren, Laura Tetreault and husband, Glenn of Fairhope, Alabama, John LeGrand and wife, Nancy of Conway, South Carolina, Joe LeGrand and wife, Cindy of The Villages, Florida, Ellen Beckham and husband, Brad of Mount Vernon, Illinois, and Michelle Lawson and husband, Ron of Port Saint Lucie, Florida; twenty-one grandchildren; thirty-four great-grandchildren; and one great-great-grandchild. In addition to his parents, Mr. Mauro was preceded in death by his first wife, Eunice; two brothers, Ross Mauro and Vincent Mauro; one sister, Sarah Freedman; and two stepchildren, Rosemary Bruzan and David LeGrand. Joseph proudly served his country in the United States Navy during World War II and later worked for the United States Government in the Federal Highway Administration. He also worked as a general agent for Knights of Columbus Insurance. 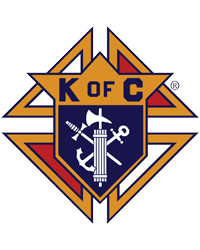 Joseph was a member of Saint Mary Immaculate Conception Catholic Church in Mount Vernon and the Mount Vernon Knights of Columbus Council #2964. He was dearly loved and will be missed by all who knew him. A greeting of family and friends will be held from 9:00 A.M. to 10:00 A.M. at Saint Mary Immaculate Conception Catholic Church. A Memorial Mass will be held at 10:00 A.M. Saturday, April 6, 2019 at Saint Mary Immaculate Conception Catholic Church in Mount Vernon, Illinois with Father John Iffert officiating. Memorials may be made to the Saint Mary Immaculate Conception Catholic Church.